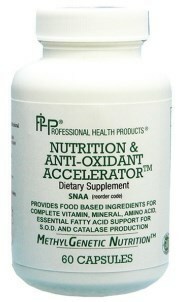 Nutrition & Antioxidant Accelerator is in a class of its own as a general nutrition and antioxidant product. Although this was designed with the nutrient needs of those with genetic defects, this is an excellent base nutritional product for anyone. 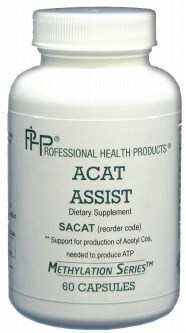 This supplement supplies food based nutrition, and unprecedented support for the production of the antioxidants catalase and superoxide dismutase.